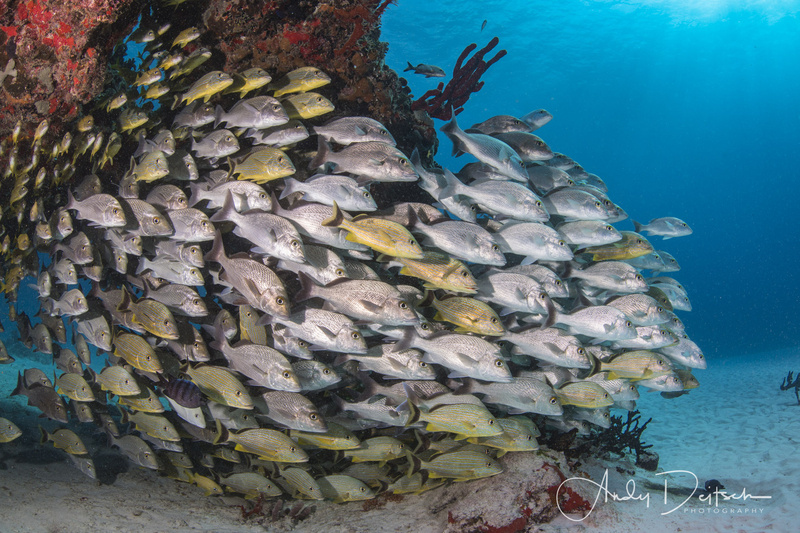 Taken on a dive in Playa del Carmen, I found this school hanging out by a cavern / swim-through. This was a slow drift dive so I waited in the cavern out of the current for the rest of the group to leave and for the sand they stirred up to settle before getting some shots. The key with shooting schooling fish is to keep them together. If you approach too quickly, they want to break into smaller groups so patience and slow movements is the key.